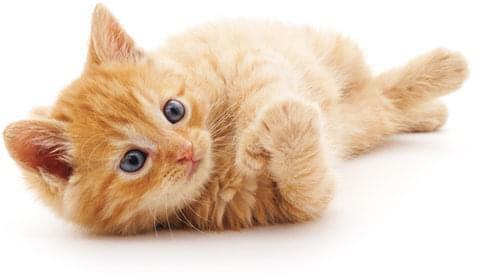 Even young cats can have gum infections and experience pain. 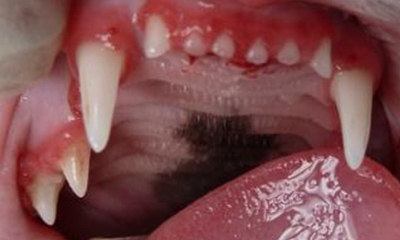 Have your cat examined for any oral inflammation and gingivitis. It is an inflammation, swelling or infection of the gum tissue. It will appear as redness of the gum tissue. Generalized inflammation of the gums. Your cat will have an oral evaluation under anesthesia with dental X-rays. The teeth are cleaned above and below the gum line. If possible, daily oral hygiene is performed. An oral examination and teeth cleanings may be performed every 3 months until 2 years of age. 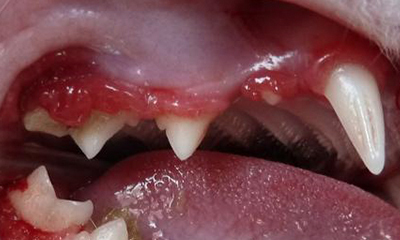 Schedule an appointment today to have your cat evaluated for gingivitis.